Choose any 3 hot sauces or 3 of a kind! What is the difference between this 3 pack vs the original? 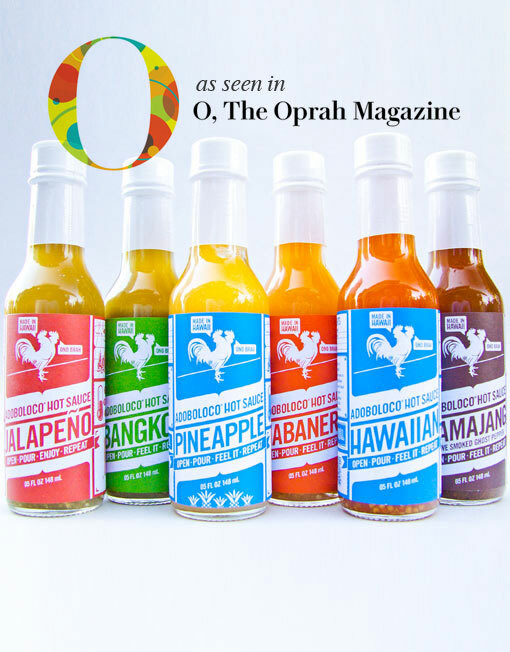 You’re able to choose any 3 of our premium hot sauces including Hamajang, Hawaiian, Pineapple or KOLOHE KID. The Adoboloco® hot sauce gift set is the perfect way to get a taste of 3 of our different hot sauces. Our original Adoboloco Jalapeno is mild, Pineapple is sweet hot, Hawaiian Chili Pepper Water is a local favorite, Hamajang, Smoked Ghost Pepper sauce is exceptional for a spicy Poke Bowl, on hearty meals, grilled/bbq meats, EGGS, vegetables, beef or lengua tacos and burritos and pretty much anything else you want to add serious flavor and kick to. Our Maui No Ka Oi (SOLD OUT – VERY SEASONAL) hot sauce is made with pure Trinidad Moruga Scorpions with exceptional flavor and heat. JALAPENO // MILD // We consider to be a flavor enhancer (umami). It can be used when sauteing, as a salad dressing, dip, condiment and so much more. PINEAPPLE // MED // Sweet Pineapple with a smooth Habanero heat. The sweet tang of the pineapple works well with everything from a smoked pulled pork sliders, simple tuna salad sandwich, to a 5 star meal of fresh grilled fish or pizza night. This sauce is dangerously addictive. HAWAIIAN // MED-HOT // The Hawaiian Chili pepper has been in Hawaii for over 100 years. It was originally introduced to Hawaii by the Portuguese immigrants moving here to work in the cane fields. This little pepper packs a punch with flavor and heat. It’s had a huge impact on Hawaii’s wonderful melting pot of culinary treats. You can find it growing wild almost anywhere. People use it when preparing so many different local dishes. KoloheKid // HOT // (Hot Ones – Season 8) KOLOHE (CO-LOW-HEY) What all my local aunties used to call me when I was growing up. It’s a Hawaiian word that means naughty; mischievous or rascal. Yes I was all of the above…. Sorry Mom and Dad ;) Now you get the idea behind the name? This sauce could get you in trouble if you hangout with it for too long. HAMAJANG // VERY HOT // (Hot Ones – Season 5) In Pidgin English means “messed up”. The sauce is Kiawe (relative to Mesquite) fresh smoked Bhut Jolokia ( Ghost Peppers ) and fresh smoked Habanero. So you’re asking what’s messed up about it? It’s not the sauce that’s messed up but it could mess you up if you decide to eat too much of it at once, it’s HOT! MAUI NO KA OI SOLD OUT – VERY SEASONAL // SUPER HOT // It’s like a hot candy in a bottle with no sugar added. It has a slightly sweet flavor with a hint of watermelon like flavors. Put it on just about anything. We love it on eggs, mac salad, grilled chicken, fried rice, noodles like Pancit, Saimin, Ramen, Chow Fun and it even works great to spice up your spaghetti. The Hot Sauce Gift Box Set Build Your Own 3 Pack option is the perfect gift. With this hot sauce gift set you have the ability to try multiple flavors at the same time. You’ll also save a bit on the cost of the hot sauce gift pack since we sell it at a packaged price. Da best hot sauce! Kolohekid for breakfast lunch & dinnah, so ono da adoboloco! Glad you enjoyed our sauces. Being a small family business, we don’t have the ability to mass produce our products. This in turn makes it very difficult to compete with brands that do. A lot of them also use inferior ingredients or fillers to cut cost. We look forward to being able to produce top quality products. We also need to stay in business and that means our premium products need to sell at a higher price. Went with the jalapeño, pineapple, and Hawaiian. The classic Hawaiian is definitely my favorite but I love the other two, this was a great way to flesh out my collection with some unique flavor! The sauce is awesome, thank you! 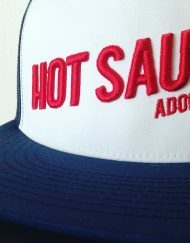 Love your hot sauces. Please bring back Habanero and the Thai. Mahalo :) We’re working on it. Tried 2 new flavors, and bought a refill of my favorite. Love this option! Thank you! Mild-to-wild so you can have sauces for everybody. This is great! I’ve used Hamajang for a few years and now get a chance to try it alongside Kolohekid and Maui No Ka Oi. It’s well worth the extra cost to get more of the hotter flavors than for the $29.99 3-pack.